Futurist Garry Golden on the smart grid, consumer engagement, and how nanotechnology and fuel cells could change transportation as we know it. Highlights of Garry’s presentation included pointing out the difference between forecasts (extrapolation of trends -- like North American smart meter rollout) and scenarios (discontinuities caused by unpredictable events like Germany back pedaling on nuclear power after the Japanese tsunami). I caught up with Garry to hear more about his views on where the energy industry is headed. He shared some thought-provoking perspectives on nanotechnology, fuel cells, and the future of electric vehicles -- a focal point for the upcoming GTM Research Networked EV Conference, as well as an upcoming GTM Research Report on the same topic. GTM Research: What are some breakthroughs in the energy industry that you expect, but that other people aren’t talking about? Golden: One of the big breakthroughs I’m following is the first-stage production of nanoparticles: the process of crushing particles to molecular size, then adding them to liquids to make a coating. [Editor’s note: nanotechnology is already impacting battery technology at companies like A123 and Amprius]. Another is the role of software. Software is starting to permeate every aspect of society and business. I’m looking at the implications of pervasive software on energy and transportation systems. The conversation around software could evolve to something very different from what we have today. GTM Research: What is your take on the one-time ARRA stimulus funding on the energy sector? Is this a good thing or a bad thing, and what opportunities and challenges does it create? Golden: One of the big benefits of the stimulus approach is that it is funding the installation of the hardware necessary to achieve a smarter grid. A big concern of mine is the assumption by many in the utility sector that the smart meter is the beginning and end of smart grid. There is a need to begin to understand smart infrastructure more broadly. This includes machine-to-machine communications. Utilities are not necessarily directly involved, but other players are entering with a bigger worldview. 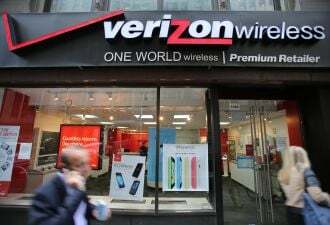 I’m thinking of AT&T, Verizon, Sprint, Google, and Microsoft, and expecting service innovations, bundled solutions, and sustainable business models. What utilities are stepping into is a world where they can be disintermediated. Right now, they are investing in hardware but not service innovation. GTM Research: What about the recent withdrawal of Google Powermeter and Microsoft Hohm from the home energy market? Is this the end of their involvement? Golden: There’s Cisco, too. Yes, these companies withdrew, but they’re probably pressing the pause button. There was an explosion of home energy devices and dashboards in 2008 through 2010 driven by a lack of growth in other sectors. These companies saw that people were not buying what they were selling because of the economy; then they saw the government investments in energy and decided to put their hat in the ring. The effort failed because the market did not have time to develop. These same companies may not enter directly as a brand, but they can provide a back-end platform or support. The bigger issue is that there’s a need to create a culture of advanced users in the energy sector. Remember in the early 1980s when cable TV entered the market? The issue was that no one would pay for television when it was already free. But free TV was a low bar that quickly got beat and now we all have $150 cable bills. The same thing happened with mobile phones. There were hardly any of them in 1990; now there are 3 billion handsets worldwide. When Apple offered a service-plus platform for applications, they created a culture of advanced users with a new service platform. The same type of transition toward an advanced user base is needed for the energy sector as a whole. GTM Research: A lot of entrepreneurs in the energy sector complain that the U.S. market is too fragmented and that it’s difficult to formulate a good business model given all the different regulated markets. Do you see this fragmentation as a barrier? Golden: You’re right that there are different angles: regulatory, markets, and consumers themselves and their segmentation. You need to focus on breakthrough innovation. Like Clayton Christensen [author of Crossing the Chasm and The Innovator's Dilemma] says, you need to look at non-consumption. Don’t try to beat incumbents at their own game. A winning business model could be the emergence of distributed power generation. Not trying to displace the utility, but looking at early-stage growth of distributed power at the house, the factory, but also at the level of products that come with their own power generation. New business models might spring up around startups like Clear Edge Power, Bloom Energy, or even GE that are working with distributed and portable power systems. GTM Research: What about electric vehicles? Golden: This is actually an area I feel very strongly about. GTM Research: Let ‘er rip. Golden: We need to think about this in terms of the automobile industry, not energy providers. A lot of neophytes have come into the conversation talking about plug-in vehicles that get their power from the grid. I think they are coming at it from the wrong angle. You have to look at it from the auto industry standpoint -- from the standpoint of manufacturing footprint, not carbon reduction. The auto industry has built out very expensive production investments around the combustion engine, with enormous investment for engine iterations. You need separate factories for V4, V6, V8 engines, and all of these factories are at low utilization -- 40 percent to 60 percent. Electric vehicles enable the industry to switch to a modular platform to propel their fleet. For the auto industry, this reduces the complexity of cars. That’s a driver that’s completely lost today. That’s the manufacturing case for electrification. We are misleading the public by selling electric vehicles as plug-ins. The future will take decades, but the endgame is the integration of storage and fuel consumption, the integration of fuel cells and batteries. 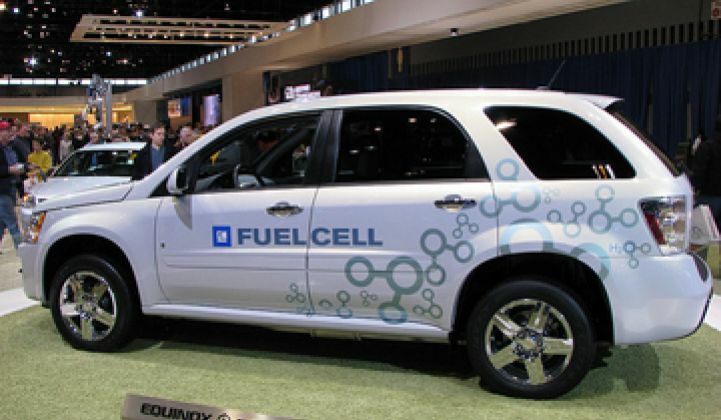 Fuel cell-based electric vehicles are the most likely future. Focusing on electric vehicles that need to plug in to the grid is entirely misleading. 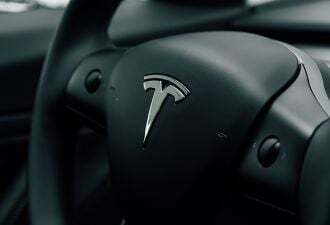 Everyone is focused on the first generation of electric vehicles. GTM Research: So why the focus on plug-in electric vehicles? What’s driving that? Golden: The DOE is battery-focused because they needed to create jobs. Fuel-based energy conversion creates the right cost and the right power-to-mass ratio. Electric vehicles are overhyped by people outside industry. Germany, Japan, Korea -- beginning in 2015 -- they are all focused on fuel-cell electric vehicles. We need to take heed of that. The big question is, what is the feedstock? We have to think in terms of scenarios. The molecular fuel platform will be the big power struggle. The most powerful players will be making big bets. It has to be a hydrogen-rich fuel -- natural gas or even biofuels or something else. We need to come up with the next great feedstock -- for producing hydrogen. GTM Research: Natural gas is an obvious choice, but isn’t liquid natural gas hazardous? Is there a risk that people could freeze their hands off or cause an explosion if they handle natural gas? Golden: I’m looking at nanoparticles and innovations to store energy in solid forms. There are now nano-materials that weigh a gram but provide the surface area of a football field. We could have a future where a housewife can drive into a service station and put an energy brick in their car and then drive for hundreds of miles. They could go into Home Depot or Wal-Mart and buy a box full of energy bricks and be all set. Ten years ago, a set of Tupperware cost $50. Then there were breakthroughs in polymers to the point where a set costs less than a dollar. GTM Research: Now I’m beginning to understand your focus on nano-materials. I was skeptical when you brought them up at the IEPEC conference. Golden: [Laughs] Exactly. Energy companies -- including utilities -- need to start thinking about a future where energy is distributed and moves about freely. GTM Research: The disconnected grid? GTM Research: What are the implications for utilities and car companies? It sounds like they may have a lot of investments in low-utilization assets, and maybe that utilization will continue to decline. That sounds problematic. Golden: They need to think about their role in the future, about how they can evolve to become service providers in a new energy future. The big innovation over the past century was the electron. When people started to talk about a negative charge that could go across a wire, people said, “What are you talking about?” A future where solid-state, portable, high-density energy is abundant -- that’s what companies need to think about. They need to think about that kind of scenario and what their role is going to be. Garry Golden is a frequent speaker at energy-related events and works with energy companies to help them envision and plan for the future. Here's a link to Garry Golden’s website.